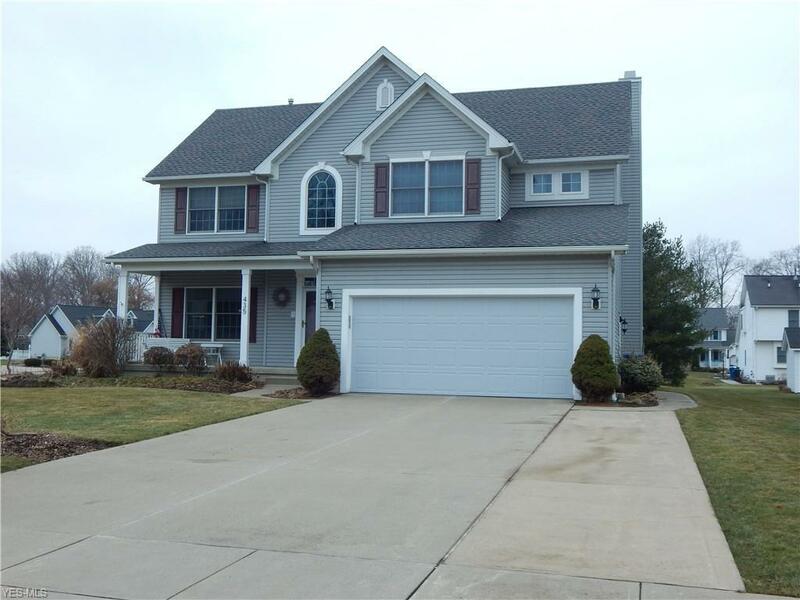 Fantastic 4 bedroom colonial located in Amherst. This one owner home has been meticulously maintained. Situated on a beautiful corner lot this home will check off all items on your must have list. Make your way up to the covered front porch and prepare to be greeted by your new home. You are welcomed by the two story foyer with a lighted stairway. The main level features a nice open floor plan with 9ft ceilings. Sliding doors lead you to a covered patio with arborvitae providing a bit of privacy. Upstairs offers 4 bedrooms. The spacious master suite has a large walk in closet, and master bath has a double vanity and walk in shower. The lower level is partially finished with a full bathroom. The roof was replaced approximately 6 years ago. Hot water tank is new last year. Truly a beautiful home.